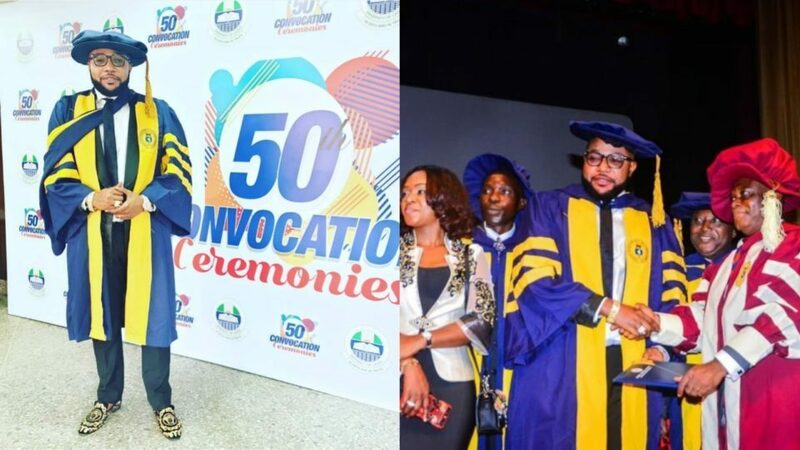 Emeka Okonkwo popularly known as E-money shared a photo of himself on Instagram while receiving a doctorate degree in Business Management and Corporate Governance from the University of Lagos. To God be the glory! 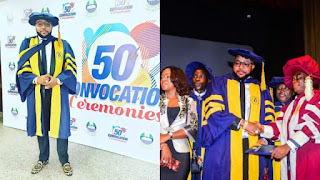 I have just received a Honorary Doctorate Degree in Business Management and Corporate Governance at an event held inside the University of Lagos. I’m joined here by the incoming Deputy Governor of Lagos, Dr Obafemi Hamzat whose father, Olatunji Hamzat (an influential politician) also bagged a Doctorate Degree. 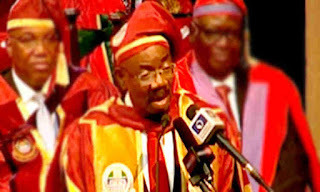 The University of Lagos has denied conferring any doctorate degree to E-money. Below is a statement issued by UNILAG showing the list of people conferred with a doctorate degree with E-money’s name missing.